Caoimhe obtained a BA(hons) in Psychology from National University of Ireland, Maynooth in 2008. In 2010 after 2 years of travelling Caoimhe came to Bangor to do the BPS accredited MSc in Sport and Exercise Psychology. She is currently researching on a 125th Anniversary Ph.D. scholarship. Her research is focused on behaviour change and more specifically centres around change talk. She has a keen interest in Motivational Interviewing and is pursuing advanced training in that area. When she gets a chance she enjoys applied work too, especially projects that are based in psychophysiology. 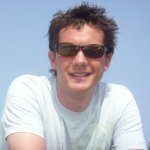 Ed received a BSc (Hons) in Sport and Exercise Sciences from Exeter University in 2004 and MSc in Sport and Exercise Sciences from Loughborough University in 2010. Ed worked on his Ph.D. project in conjunction with the England and Wales Cricket Board (ECB). His research aims were to create and validate a talent prediction model, which will identify players with the potential to become ‘worlds best’. His initial research has focussed on a battery of tests aimed at assessing the requisite psychological, physiological and skill competencies for future success. Further research focusses on ‘Moneyball’ principles such traditional scouting, tacit knowledge and performance statistics as predictors of future performance. In conjunction with the ECB’s strategic objectives Ed developed the relatively weak body of talent identification research. Beyond academia Ed has the enviable position of having competed, coached and consulted in elite sport. He competed as part of the British Sailing Team with top 10 world rankings and a position as tune-up boat for the Olympic representatives at Beijing 2008. Ed continued sailing professionally before being appointed as a National sailing coach in 2011 where he coached British youth sailors to back-to-back World Championship gold medals. In addition to work with the RYA Ed has consulted with UK Sport/EIS and a number of other sporting bodies in the field of talent identification. Niamh obtained a BSc (hons) in Psychology from Loughborough University, a MSc in Sport and Exercise Psychology from Bangor University, and is currently studying for a Ph.D. which is funded by the European Social Fund. Her research aims to identify new techniques for training people with a learning disability to develop employment skills and to educate thosewho deliver this training. Niamh is passionate about disability sport. She works with Mencap Cymru to develop sport and leisure strategies and in the first year of her Ph.D. she formed and managed a Welsh National football team for people with a learning disability who participated in the European Championships in Geneva, May 2010. Niamh has a keen interest in applied sport psychology and has a great deal of experience working with Athletics at grass roots, national and international levels, as well as Association Football, Golf and Gaelic Football. Other research interests include the effects of anxiety on motor production and the use of skill acquisition techniques to eliminate choking, imagery use and training, coaching and athlete development. Niamh is a keen sportswoman and has represented Ireland at an international level for athletics, specifically javelin and heptathlon. She coaches and competes in Athletics, Hockey and Gaelic Football for Bangor University and is a professional dog walker. Rosie received a BSc (Hons) in Applied psychology from Cardiff University following which she worked in executive recruitment. Rosie has recently completed her MSc in sport and exercise psychology from Bangor University and is currently undertaking an applied PhD partially funded by Sports Council for Wales. Rosie’s PhD research involves the application of psychological skills to performance environments and the design of practical interventions to enhance coach education and practice. She has worked with a number of elite-level individual athletes (e.g., in rugby and horse riding) and has delivered workshops to a variety of groups including GB Telemark skiing and bridge players. In Rosie’s free time she enjoys surfing, climbing and skiing. After completing a joint honours degree in Law and French from Keele University in 2000, Samantha made the obvious career move into the outdoor industry spending 10 years working as an Instructor, Development Trainer, and Expedition Leader on many exotic overseas adventures. Concurrently, she studied Life and Performance Coaching, NLP and completed a Postgraduate Diploma in Coaching and Mentoring (Wolverhampton University). 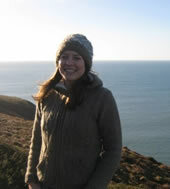 Samantha is presently researching transformational leadership in the context of Outdoor Expeditions. Samantha is an outdoor enthusiast and is passionate about developing peoples’ potential through the medium of outdoor experiences. Samantha likes having fun adventures with good friends, with tea shops featuring highly. After obtaining a MA in Psychology and Public Policy at the University of Glasgow, Stephanie completed her MSc in Sport and Exercise Psychology at Bangor University in 2008. Her current research focuses on the optimal use of imagery. Other areas of interest include emotional controland team building. Representing Scotland at international level for over 8 years, Stephanie has firsthand experience of the psychological demands athletes face at the highest level. She has employed this understanding to inform her applied sport psychology work with high performance athletes from team to individual sports including the GB Telemark Ski Team, Bangor F.C. Youth Academy, athletics and rugby.